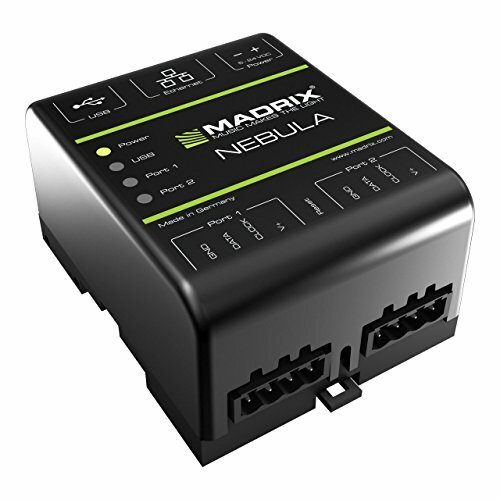 The MADRIX NEBULA directly connects to your LED pixels. Directly connect to a wide range of supported LEDs via two 4-pin screw terminals. A signal frequency of up to 24 MHz is available. Supply power over USB or 5 V to 24 V over a 2-pin screw terminal. Art-Net is directly converted to SPI without the need for an additional interface. If you have any questions about this product by SIRS-E, contact us by completing and submitting the form below. If you are looking for a specif part number, please include it with your message. Pro Audio DJ Portable Light Lighting Fixture T Bar Stands 15Ft Truss Package Only Seller With Advanced Wing Nut Connection System!